The Quello Center’s Broadband to the Neighborhood Project is surveying residents in three areas of Detroit. We are delighted to be collaborating with the Center for Urban Studies at Wayne State University on the fielding of survey and putting their CATI system to work. 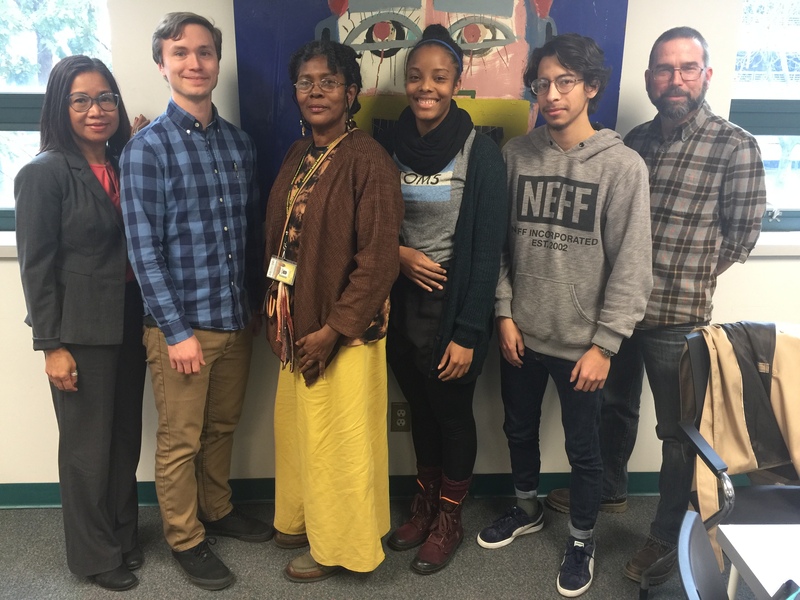 Yesterday, prior to some focus groups in Detroit, we were able to visit the Center for Urban Studies and meet the team conducting our field research, led by Charo Hulleza (far left in photo), and her research assistant, John Jakary (far right in photo). Our thanks to them for their professional team work and collaboration on this project. They are an excellent team, see below. Tommy Edison’s Perspective on the Internet and Accessiblity: Advantage Smartphone! My colleagues and I had a wonderful conversation with Tommy Edison, host of The Blind Film Critic, yesterday afternoon, following his presentation at UARC’s (MSU Usability/Accessibility Research and Consulting) World Usability Day conference. Blind from birth, Tommy’s website describes him as the ‘Blind Film Critic, YouTuber, Radio Personality, Public Speaker’, and he truly is a master of all. We organized this conversation to discuss his life and work and particularly the lessons he has learned about disabilities and access to the Internet. As Tommy said, ‘too few people have any experience with a blind person’, and even fewer with how a blind person uses the Internet. The most important insight he provided was on the centrality of the mobile smartphone for enabling better access to the Internet for the blind. As he argued, computers, such as laptops, and the Internet have become more accessible since the early days for those born blind or having lost their eyesight, but there are still major hurdles. He had always found it difficult to deal with the computer screen, for example, even though the graphical user interface has of course been one of the key breakthroughs in helping sighted people use the Internet. A breakthrough on the computer-based Internet has been text-to-voice advances, which he uses. But in this respect, he has found the smartphone to be the most major breakthrough as he can envision the keyboard of a smart phone through touch and therefore navigate the Internet far more easily. And he can touch a key once to hear the function, and twice to complete it. I asked about the use of voice search, and whether this provided a similar breakthrough for him. However, his concerns over privacy trumped the value of voice search. So, as we increasingly design Web sites and blogs for mobile first access, we are often making the Internet more usable for those with impaired sight. Tommy Edison has been blind since birth and now producing videos online that reveal a glimpse into his life and the funny challenges that he faces daily. Tommy has showed us what it’s like for someone who is blind to use an ATM for the time and how some people who are visually impaired may organize their money. Plus, Tommy is living his dream of reviewing movies as the Blind Film Critic. With his unique and interesting perspective, Tommy says “I watch movies and pay attention to them in a different way than sighted people do. I’m not distracted by all the beautiful shots and attractive people. 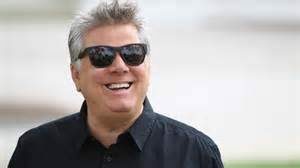 I watch a movie for the writing and acting.” In addition to being the Blind Film Critic, Tommy has been a radio professional for nearly 25 years, having spent the last 19 at STAR 99.9 FM in Connecticut as a traffic reporter. Tommy’s engaging personality, along with his on-air excellence and entertaining demeanor has garnered him much media attention. The Center thanks the Quello Center’s Valeta Wensloff and Graham Pierce, the Assistant Director of Usability/Accessibility Research and Consulting at MSU for helping to bring this conversation together. A BBC reporter, Rachel Nuwer, wrote a nice piece on what would it mean to people if the Internet stopped working. It was entitled “What if the Internet Stopped for a Day“. I stressed that there are some empirical cases, such as a power outage in NYC, and the pager blackout across the US, that provide some concrete evidence of possible outcomes, and I was impressed how well she embedded these cases and more in a well developed article. I recommend it. 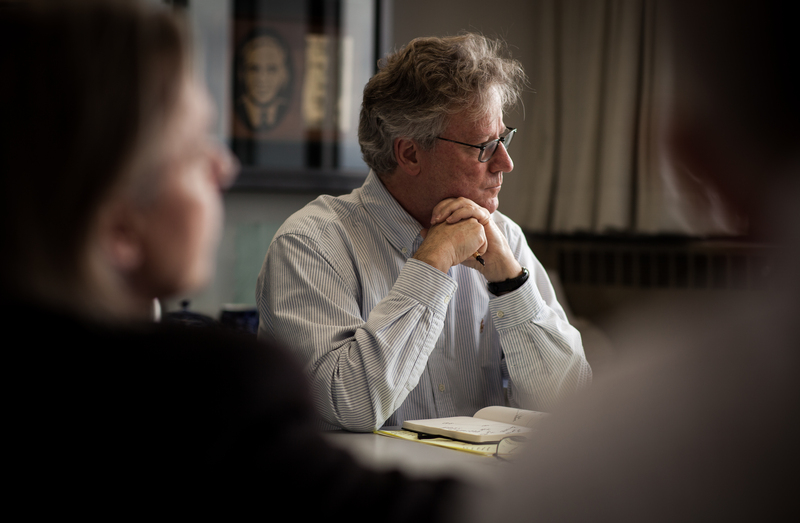 Professor Bill Dutton, Director of the Quello Center, in the College of Communication Arts and Sciences, has signed a contract with Oxford University Press for a book on his concept of the Fifth Estate. He has been speaking and conducting research over the last decade on the role of the Internet in empowering a Fifth Estate that can hold other ‘estates’ accountable, including the press, as the Fourth Estate. The book will develop the concept of the Fifth Estate, provide empirical evidence of its rise, and its implications across nearly every sector of society. While a growing tide of criticism is focused on the role of social media and the Internet in fueling everything from populism to fake news, the Fifth Estate provides a powerful response to the critics. Bill’s work shows the many strategies of individuals of the Fifth Estate for enabling greater accountability and communicative power to create a more pluralistic structure of social control not only in politics, but also, in nearly every institutional setting of everyday life. 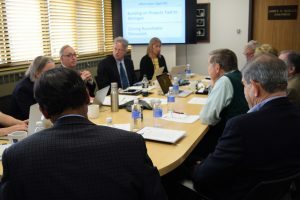 From discussions in courses and within the Quello Center Advisory Board, the Center has been developing a set of key issues tied to media, communication and information policy and practice. We’d welcome you thoughts on issues we’ve missed or issues noted that do not merit more sustained research and debate. Your feedback on this list would be most welcome, and will be posted as comments on this post. New Developments around Robotics and Artificial Intelligence: What are the implications for individual control, privacy, and security? Security is no longer so clearly a cyber issue as cyber security increasingly shapes the physical world of autonomous vehicles, drones, and robots. Internet of Things (IoT): With tens of billions of things moving online, how can individuals protect their privacy and safety and well being as their environments are monitored and controlled by their movement through space? There are likely to be implications for urban informatics, transportation and environmental systems, systems in the household, and worn (wearables above). A possible focus within this set would be on developments in households. Wearables: What appears to be an incremental step in the IoT space could have major implications across many sectors, from health to privacy and surveillance. The Future of Content Delivery: Content delivery, particularly around broadcasting of film and television, in the digital age: technology, business models, and social impact of the rapidly developing ecosystem, such as on localism, diversity, and quality. Free (and Open Source) Software: The prominence and future of free as well as open source software continues to evolve. Are rules, licensing, and institutional support, such as around the Free Software Foundation, meeting the needs of this free software community? Big Data: How can individuals protect their privacy in the age of computational analytics and increasing capture of personal data and mass surveillance? What policies or practices can be developed to guide data collection, analysis, and public awareness? Encryption: Advances in encryption technologies at a time of increasing threats to the privacy of individual communications, such as email, could lead to a massive uptake of tools to keep private communications private. How can this development be accelerated and spread across all sectors of the Internet community? Internet2: Just as the development of the Internet within academia has shaped the future of communications, so might the next generation of the Internet – so-called Internet2 – have even greater implications in shaping the future of research and educational networking in the first instance, but public communications in the longer-term. Who is tracking its development and potential implications? Transparency: Many new issues of the digital age, such as concerns over privacy and surveillance, are tied to a lack of transparency. What is being done with your data, by whom, and for what purposes? In commercial and governmental settings, many public concerns could be addressed to a degree through the provision of greater transparency, and the accountability that should follow. Censorship and Internet Filtering: Internet filtering and censorship was limited to a few states at the turn of the century. But over the last decade, fueled by fear of radical extremist content, and associated fears of self-radicalization, censorship has spread to most nation states. Are we entering a new digital world in which Internet content filtering is the norm? What can be done to mitigate the impact on freedom of expression and freedom of connection? Psychological Manipulation: Citizen and consumers are increasingly worried about the ways in which they can be manipulated by advertising, (fake) news, social media and more that leads them to vote, buy, protest, or otherwise act in ways that the purveyors of the new propaganda of the digital age would like. While many worried about propaganda around the mass media, should there be comparable attention given to the hacking of psychological processes by the designers of digital media content? Is this a critical focus for consumer protection? (In)Equities in Access: Inequalities in access to communication and information services might be growing locally and globally, despite the move to digital media and ICTs. The concept of a digital divide may no longer be adequate to capture these developments. Privacy and Surveillance: The release of documents by Edward Snowden has joined with other events to draw increasing attention to the threats of mass unwarranted surveillance. It has been an enduring issue, but it is increasingly clear that developments heretofore perceived to be impossible are increasingly feasible and being used to monitor individuals. What can be done? ICT4D or Internet for Development: Policy and technology initiatives in communication to support developing nations and regions, both in emergency responses, such as in relation to infectious diseases, or around more explicit economic development issues. Media Concentration and the Plurality of Voices: Trends in the diversity and plurality of ownership, and sources of content, particularly around news. Early work on media concentration needs new frameworks for addressing global trends on the Web, with new media, in print media, automated text generation, and more. Diversity of Content: In a global Internet context, how can we reasonably quantify or address issues of diversity in local and national media? Does diversity become more important in a digital age in which individuals will go online or on satellite services if the mainstream media in a nation ignore content of interest to their background? Freedom of Expression: New and enduring challenges to expression in the digital age. Communication Policy: Rewrite of the 1934 Communications Act, last up-dated in 1996: This is unlikely to occur in the current political environment, but is nevertheless a critical focus. Universal Access v Universal Service: With citizens and consumers dropping some traditional services, such as fixed line phones, how can universal service be best translated into the digital age of broadband services? Network Neutrality: Should there be Internet fast lanes and more? Efforts to ensure the fair treatment of content, from multiple providers, through regulation has been one of the more contentious issues in the USA. To some, the issue has been ‘beaten to death’, but it has been brought to life again through the regulatory initiatives of FCC Chairman Wheeler, and more recently with the new Trump Administration, where the fate of net neutrality is problematic. Can we research the implications of this policy? Internet Governance and Policy: Normative and empirical perspectives on governance of the Internet at the global and national level. Timely issue critical to future of the Internet, and a global information age, and rise of national Internet policy initiatives. Acknowledgements: In addition to the Quello Advisory Board, special thanks to some of my students for their stimulating discussion that surfaced many of these issues. Thanks to Jingwei Cheng, Bingzhe Li, and Irem Yildirim, for their contributions to this list. A great deal of funding has been devoted to stimulating the development of broadband Internet infrastructures and services in the United States. Federally funded initiatives have been studied and evaluated through dozens of studies. Jon Gant will discuss the lessons learned from efforts to evaluate the impact of broadband Internet initiatives. Dr. Jon Gant is a national leader in the areas of digital inclusion and broadband adoption. Jon is currently a professor at the Graduate School of Library and Information Science at the University of Illinois at Urbana-Champaign where he serves as the founding Director of the Center for Digital Inclusion (CDI). Under Jon’s leadership, CDI examines the social and economic impact of information and communication technologies globally. Jon is the principal investigator for the Illinois Digital Innovation Leadership Program. This is a collaboration with University of Illinois Extension and the Champaign-Urbana Community Fab Lab to build local high tech hubs in Illinois based to support digital fabrication, digital media production and data analytics. CDI is currently developing new research on smart cities/communities and next-generation Internet applications to serve the public. Since 2009, Jon served as a director of Urbana-Champaign Big Broadband (UC2B), a University of Illinois-led intergovernmental consortium with the City of Urbana and City of Champaign operating an Internet service provider startup providing gigabit speed Internet access serving households, businesses and community anchor institutions in Urban-Champaign, IL. UC2B received a $22 million Broadband Technology Opportunity Program grant to construct a 187-mile fiber-optic broadband network infrastructure. Jon served as director for business development and was responsible for designing and implementing an innovative data analytics approach for business development, network engineering and construction, and customer relationship management. 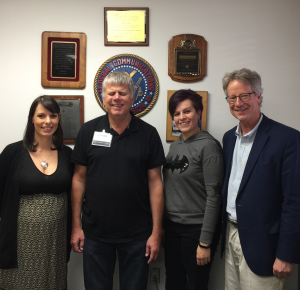 Since the completion of the BTOP grant in 2014, UC2B is now a not-for-profit ISP. UC2B is partnering with ITV-3 to expand gigabit services, voice and video to households in Urbana-Champaign. Jon serves currently as the Chairperson of the UC2B Board of Directors. Jon served as a research director for the evaluation of the Department of Commerce’s Broadband Technology Opportunity Program (BTOP) as a consultant with ASR Analytics. Jon collaborated with the evaluation team to develop the mixed method research design, train and mentor the research and data analytics team, lead site visits, conduct interviews, brief senior NTIA officials, analyze the social and economic impacts, and co-author the case studies and final reports. 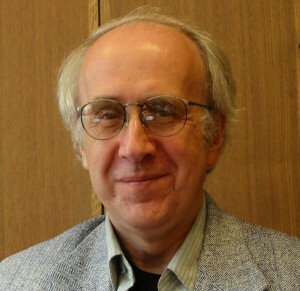 The Institute of Museum and Library Services, the Organization for Economic Coordination and Development, the International Telecommunication Union, the State of Illinois, Partnership for a Connected Illinois, the American Library Association, and the National Science Foundation, among others, have funded Jon’s research. Jon received his M.S. and Ph.D. degrees from Heinz College at Carnegie Mellon University, where he studied public policy and information management. 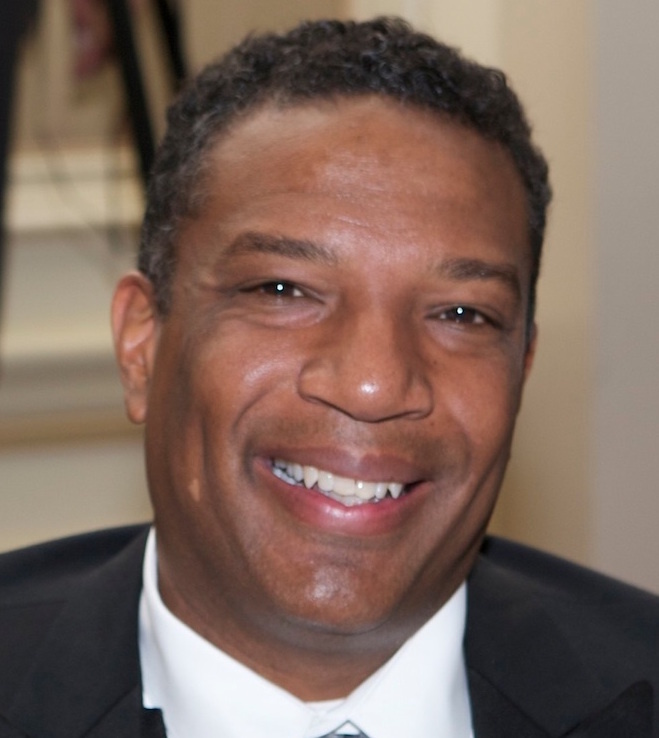 Jon earned his undergraduate degree from the University of Michigan.